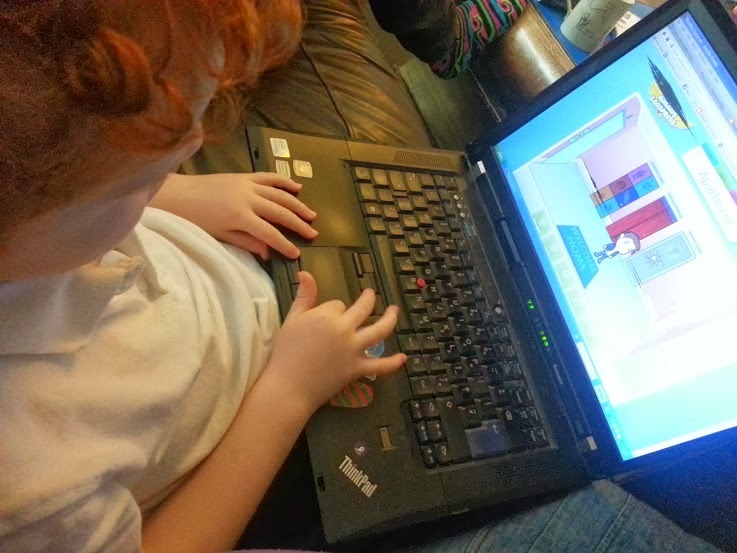 Reading Eggs is an online programme that helps teach your children to read. It starts with letter recognition, and moves on through progressively harder levels covering techniques for reading and writing - understanding different letter sounds, how letters change when grouped together, tricky words etc. It is aimed at children from 3-13, so has a huge range and suits any ability. We've been using Reading Eggs for a little while now, and the boys love it, so when they asked me if I wanted to publish a review, I was more than happy. In total there are 120 Learn-to-read lessons and 96 spelling lessons in Reading Eggs, but there's plenty more besides. There is also a Mathseeds programme for younger children and once your child has completed the Reading Eggs lessons they can move on to Reading Eggspress, designed for children 7-13. The 4th part is the Library, with thousands of books to suit any age group from 5+. Golden Eggs and trading cards are collected for completing games and challenges and reading books. My younger boys are 5yrs4mths and 3yrs10mths, so they're both beginning to learn to read. Our 5 year old is beginning to put together tricky words, and our 3 year old is still learning letters. Children start off with a Playroom with interactive objects leading to games and activities, and a Music Cafe where they can watch and learn short animated songs and rhymes which teach different rules and oddities of reading. They also start on the main part of the programme, the Lessons. The Lessons are all fun and interesting to the children, taking the form of games and activities. There is plenty of variation and the progression through the levels is nicely done. Once children have completed more lessons, extra parts of the game are opened up to them. After lesson 10 one of the extras is the Story Factory where they can read and create their own stories. Every player makes their own little character. My boys have very different tastes, with one of mine wearing a bizarre dragon outfit and the other opting for the more conventional chick! I'm delighted to be able to offer my readers an extended 4 weeks free trial of Reading Eggs by following the instructions below. You don't need to add any payment details, and you won't be charged if you decide not to continue. Click on ‘Start Reading’ to begin your learning journey with your 4 week free trial. Hopefully you'll enjoy it as much as we do and your children can benefit from learning while they have fun too! I was given a promotional code for Reading Eggs in return for this post. We love Reading Eggs! Ethan's subscription is about to run out, I must look into renewing it! :D Well, if Ethan is an advert for it then he's a fantastic advert! Miss C has started using this too! Really fun for them.